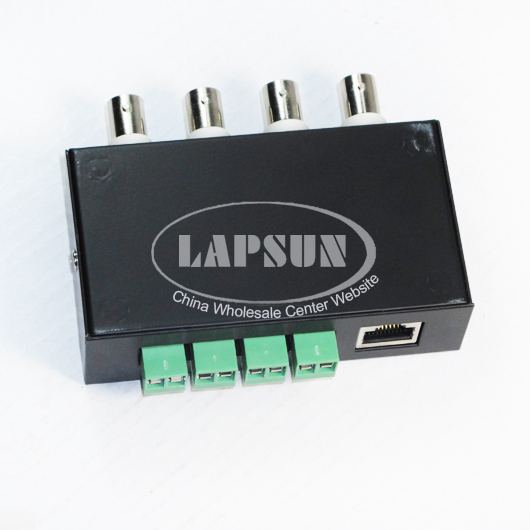 With working with passive transceiver and active transmitters allow signals transmission up to 330m and 1500m respectively. 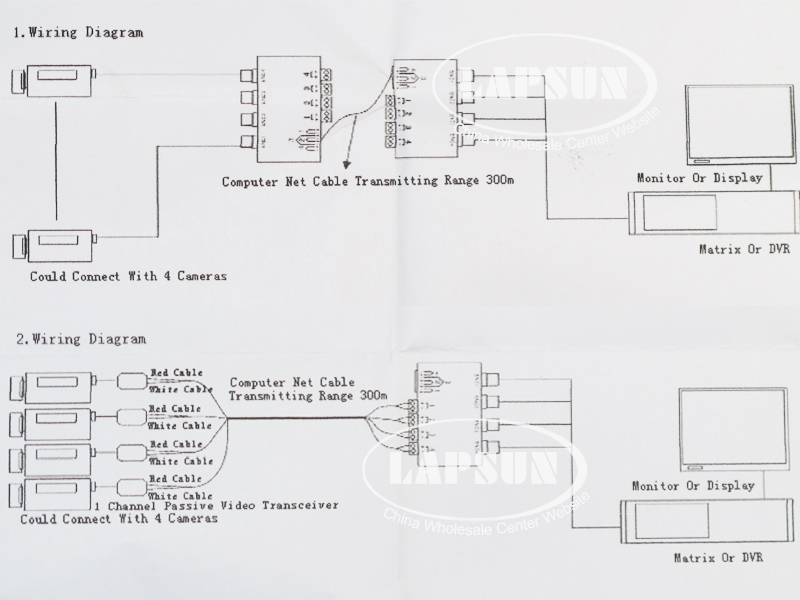 The unparalleled interference rejection and low emissions of the UTP allow video signals to co-exist in the same wire bundle as telephone, datacom, or low-voltage power circuits. 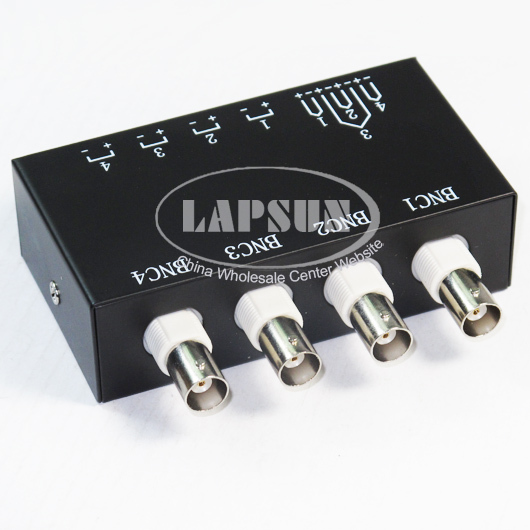 This 4 Channel Video Balun allows the use of a shared or existing cable plant. 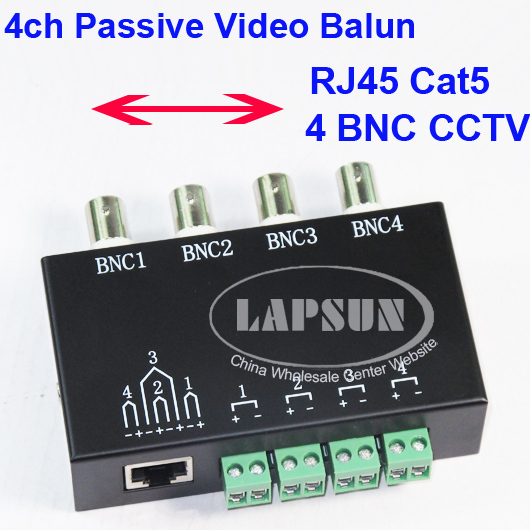 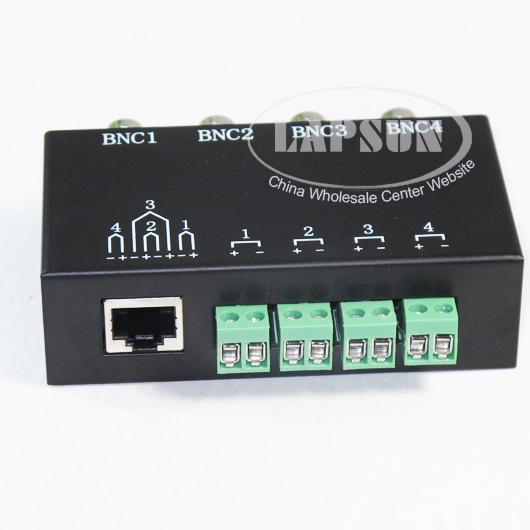 Video balun is to convert the video signal into the balanced signal applicable to be transmitted on common Cat-5 unshielded twisted pair wire with perfect transmission effect, which can be applied in the occasions such as video monitoring and video meeting and can transmit four channels of video image simultaneously on an 8-core Cat-5 twisted pair wire Video Balun Transceiver can simplify the wiring project and save wire use quantity.